Another place that I visited in Spokane, WA was a very special eco-friendly store called Sun People Dry Goods Co. The vision of the store that is found on their website is 'helping you transition to a sustainable and resilient lifestyle.' And, the store is filled with all sorts of products, many local, that fit this bill. It is a small store, housed in a warehouse built in 1918, but it offers a full range of classes on eco-important topics as well as a really diverse selection of products from hardware to household goods to beautiful letterpress stationery. My daughter had marked the store as 'one you will absolutely love, Mom', and she was right. Actually, it isn't just the goods in the store but the staff that make it special. I listened while Angie Dierdorff, the associate manager, answered questions for customers and potential vendors. 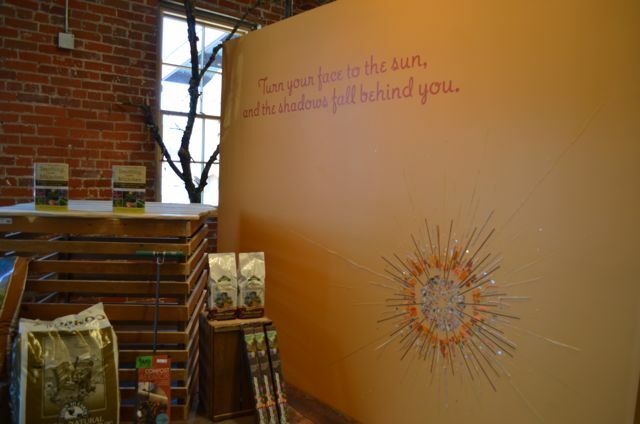 Her warmth and delight in sharing her knowledge just made you feel welcome and truly reflected the greeting as you enter the store: Turn Your Face to the Sun and Let the Shadows Fall Behind You. 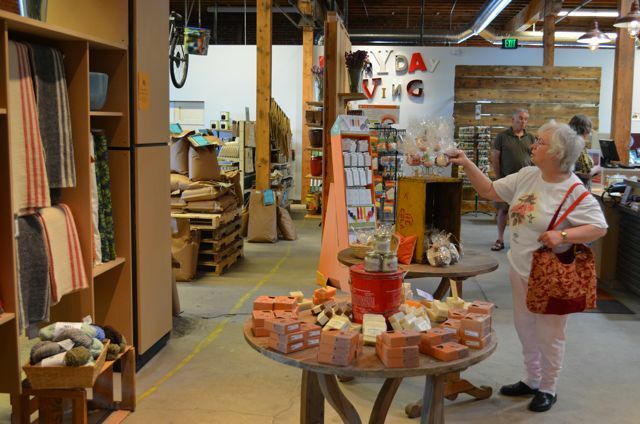 If you live in the Spokane area, it is a great place to shop. Guarantee that you will leave with a smile on your face as well as some great finds in your shopping bag! 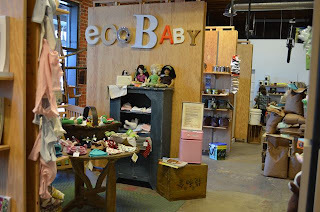 Labels: Eco-friendly products, Spokane, Sun People Dry Goods Co.